REBELUTION FREE REIN SUMMER TOUR - Otter Productions Inc. | Otter Productions Inc. REBELUTION FREE REIN SUMMER TOUR - Otter Productions Inc. 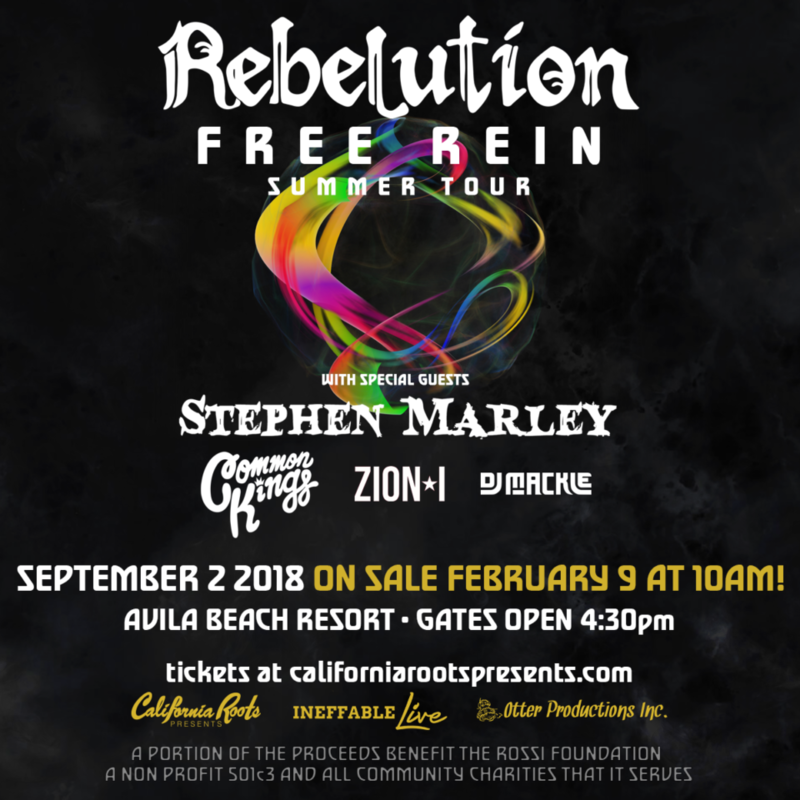 The REBELUTION FREE REIN SUMMER TOUR, featuring Rebelution, Stephen Marley, Common Kings, Zion*I and DJ Mackle, IS SOLD OUT! A dozen years into Rebelution’s stirring career, the release of the California reggae band’s fifth album Falling Into Place finds them more energized than ever. Touring relentlessly since 2014’s Count Me In debuted at No. 1 on the Billboard Reggae chart, the band’s members have expanded their songwriting horizons and recorded 11 tight new tracks that fuse an ever-youthful attitude of celebration with the mature perspective of men of the world. For Falling into Place, Rebelution’s four core members – Rachmany, keyboardist Rory Carey, drummer Wesley Finley, and bassist Marley D. Williams – got some refreshing new perspectives by writing with different producers and writers and recording at multiple studios. For Rachmany, the creativity began with an inspirational trip to Jamaica, the birthplace of reggae, where he did some of the writing. Dwayne “Supa Dups” Chin-Quee (Bruno Mars, Eminem) produced many of the tracks. Others feature the studio wizardry of Yeti Beats (Kool Keith, Los Rakas, and Rebelution’s two previous albums), while Donovan “DonCorleon” Bennett (Sean Paul, Vybz Kartel, Morgan Heritage) produced two. Locking it all together are rock-solid musicianship, a “sun splashy sound” (Relix), an intense work ethic, and constant devotion to their art. “We named the album Falling Into Place because all of our varied inspirations and experiences came together into one cohesive collection of music that we really love,” says Rachmany. Rebelution came together in Isla Vista in 2004. The college friends evolved into one of the brightest lights of modern reggae. Their Debut album Courage to Grow, was named iTunes’ Editors’ Choice for Best Reggae Album of 2007. Bright Side of Life, released on their own 87 Music label in 2009, hit #1 on the iTunes Reggae chart. It was also the third most downloaded album in the U.S. in all genres, and reached #1 on the Billboard Top Reggae Albums chart and #34 on Billboard’s top 200. The triple-album Peace of Mind, released in 2012 with acoustic and dub versions, marked an even higher chart debut: #13 on the Billboard Top 200. It hit #1 on both the Reggae and Independent charts, and was the #4 iTunes album overall. Island Sun Weekly called the next album, 2014’s Count Me In “an energetic melding of catchy reggae sounds, sunny vocals and a pulse of alternative flare. It’s full of positive vibes, bounding island melodies, and inspiring reggae beats.” Sure enough, it made an even bigger splash, entering the Reggae chart at #1 and the Billboard overall chart at #14, thanks to the band’s best-ever week of sales. It also premiered in the top 5 on both the Independent Albums and Digital charts. On the road for at least half the year, Rebelution continues to bring its intense, sun-drenched California reggae to widening audiences all over. The songs say it all. “Plant a seed, watch the whole thing grow.” Rebelution doesn’t just play and sing. They live these words and this music – as more fans learn with every new release. 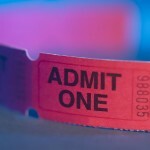 Advance General Admission and Beach Club Balcony tickets go on sale Friday February 9th at Boo Boo Records in SLO and on this site.